Great Blog; many, many thanks 4 ur hard work and your extraordinary help and patience. Best wishes and Good Luck! Many thanks to the RealClimate team for providing such an informative site. It’s been a great and extremely useful resource. Many thanks to the RealClimate team for providing this site. It’s been a great and extremely useful resource. many thanks for the effort, and for the results! many thanks for the effort, and for the results! y’all have advanced understanding, which is a high calling! Congrats and thanks to you all. It’s a delight to read the Real stuff here, and all contributors deserve thanks and kudos for their efforts. Thanks for ten wonderfully useful years. Many thanks to all for your perseverance, insight and professionalism. Thank you RealClimate team for the extraordinary service you have provided to the global community. RealClimate is an invaluable resource – keep up the good work! Congratulations on the anniversary! Thanks to the RealClimate core team, the other contributors, and to the insightful regular commenters for the education. And for the civil courage and scientific integrity to stand up for your field against political bullying. As one of the main vehicles for carefully laying out the technical case for climate science, of course, you are all to be applauded, and encouraged. But RealClimate was, to me, a more personal gift, since it got me into looking at climate science in a technical way, and eventually to delving deeper into physical oceanography and finally planetary climate, mostly through Petty’s *Atmospheric* *Radiation* and then Ray Pierrehumbert’s wonderful *Principles* *of* *Planetary* *Climate* and codes. I look forward to many, many years of additional readings. This is a great place to hang out. Congratulations, and thanks for an informative and lively discussion of the science. In so fraught a debate as this has become in this country (Australia) as well as your own, your dogged dedication to the science is exemplary. As a lay person writing about climate I need not just information but reassurance that the information is good and the reasoning behind it sound. You deliver exactly that, without fuss, as befits your great vocation. May there be many more years to come. Thank you for so many years of service to the world, and happy birthday. Happy Birthday and thanks. I’ve learned a lot from this site. I add my thanks to the RealClimate team and learned contributors for a great decade. It is quite a large time and energy commitment to run such a good website and moderate comments for so many years, in the face of often vile attacks. I have learned a lot, and not just about climate. I hope you guys keep on truckin, although I wouldn’t blame you in the least if you didn’t. Would miss you though. 10 years of RealClimate and 10 more years of uncontrolled climate change. Truth is the ultimate defense, the ultimate test of an idea’s validity, the ultimate criterion in the real world where we all dwell. Truth may change, but at any given moment it is the gold standard. Thank you all for upholding the gold standard at this moment in time. Thanks to all. In ten years I have learned of some of the unknown knowns as well as the known knowns better today then ten years ago. Liken the education as constantly improving knowledge of our vast universe, with improving technology and education. Your voices of measured reason and willingness to explore the unknowns with candor and enthusiasm is inspirational for me and many others, one would hope. For some irrational reason my despair, (given the pace of constructive climate remediation), has given way to confidence. Mostly due to the unrelenting efforts of RealClimate and the myriad number of scientists and concerned citizens constantly broadening our understanding of Earths climate. I await with anticipation for your continued missives. Happy birthday, and thank you for this very informative blog. It is a wonderful ressource for learning. You also keep showing us that scientists are smart and hardworking people, caring to get it right. This is very helpful against the denialist propaganda. You keep showing how wrong thery are. Hearty congratulations! I dispute and question now and again, but I am glad that you are here. 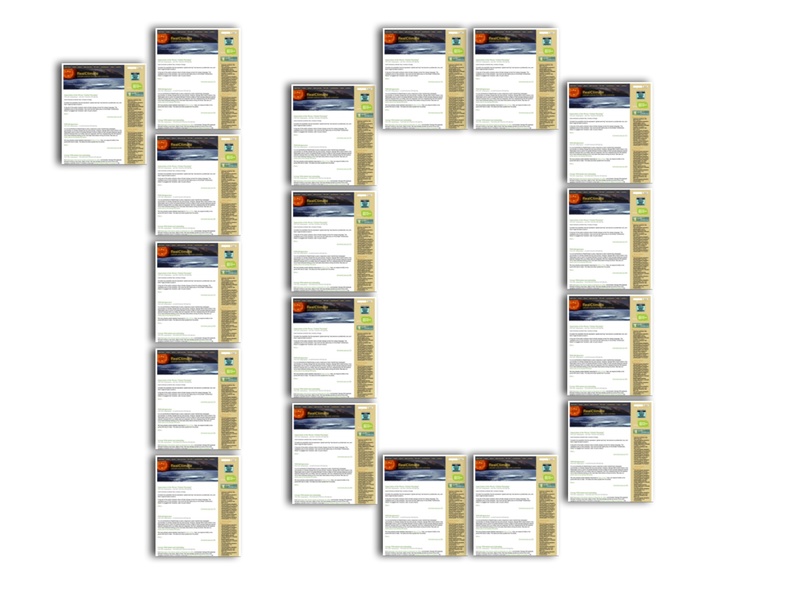 Thank you all very much for ten years of sophisticated, scientific leading-edge articles and discussions. Thank you particularly to Gavin, Mike, Eric, Ray P and Ray B et al, for your reading of the replies and your informative comments. And I am most especially grateful for the editing of so much empty and pointless verbiage and garbage and windage into the borehole!